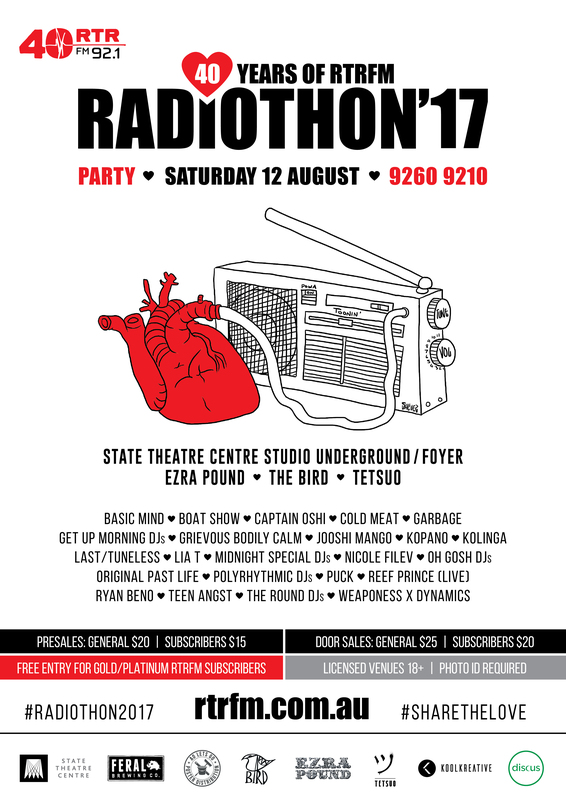 RTRFM’s yearly Radiothon Party shares the love in Northbridge Saturday August 12. In celebration of RTRFM’s annual subscriber drive Radiothon, we’re throwing a killer party featuring 20 acts spreada cross four venues: The Bird, Ezra Pound, the State Theatre Centre Foyer & Studio Underground and Tetsuo. Free entry for Gold & Platinum RTRFM subscribers.